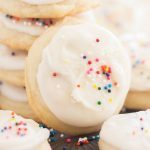 Soft, puffy, melt-in-your-mouth Iced Vanilla Amish Sugar Cookies! 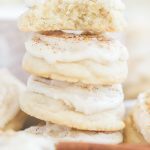 These could not be easier and are made with common pantry ingredients! 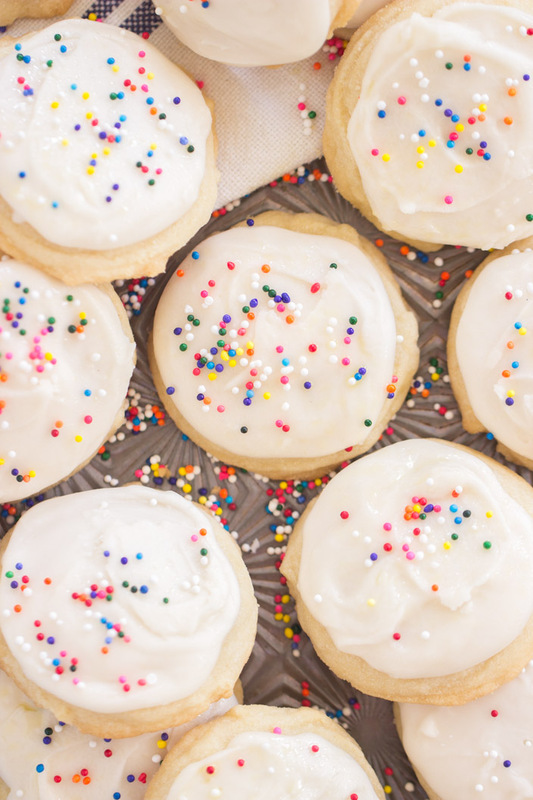 These Iced Vanilla Amish Sugar Cookies are a lot like cut-out cookies, but much less work! 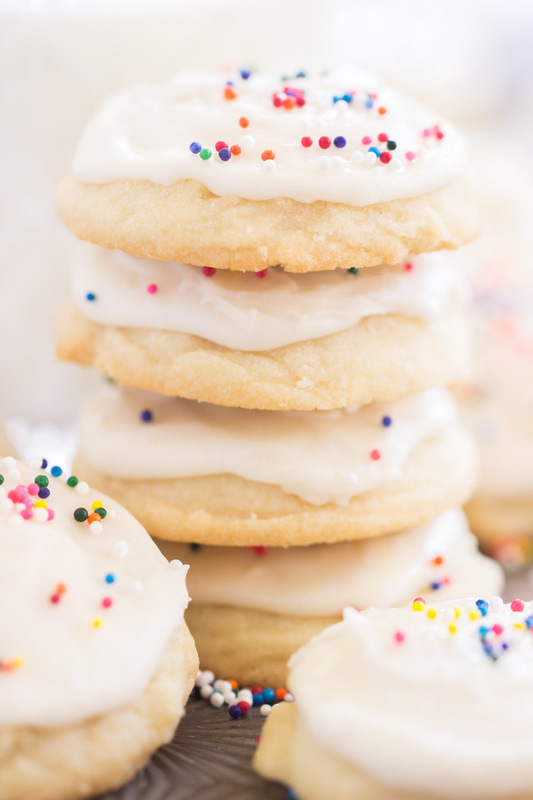 Top them with a sweet, buttery vanilla icing for an extra special cookie! This is it! 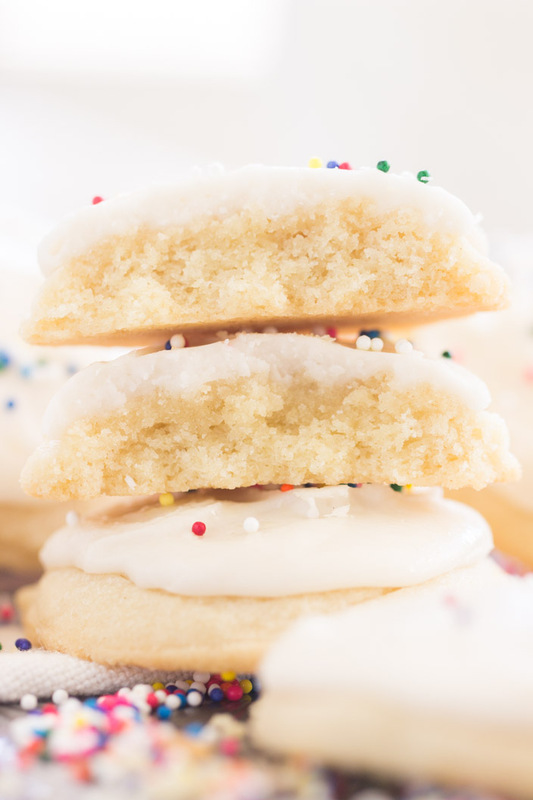 The last variation on Amish Sugar Cookies until I have a few more at Christmastime. 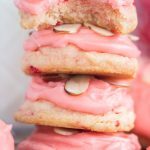 I love dressing these cookies up every which way, but I hadn’t yet shared a simple vanilla version. 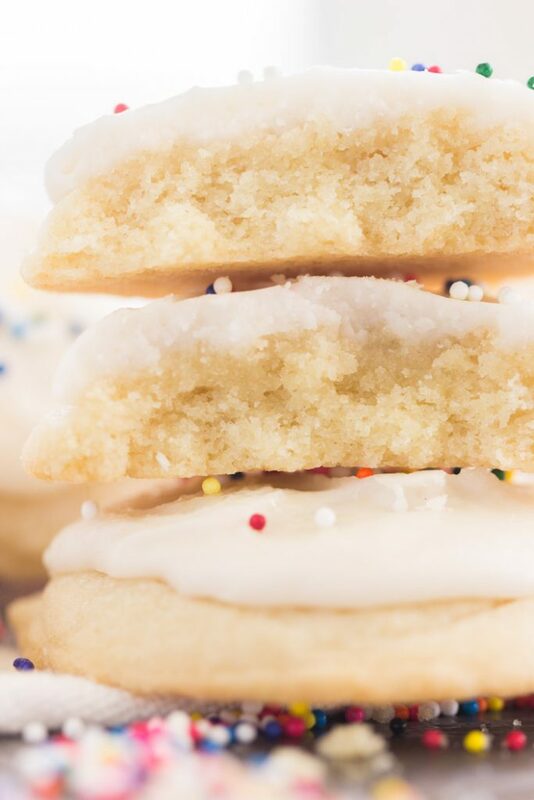 These Iced Vanilla Amish Sugar Cookies are easy and foolproof. They’re super simple to whip up, and one batch makes a ton of cookies. You can easily feed a crowd. 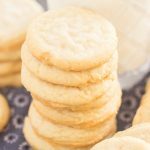 If you’re making a bunch of cookies for the holidays, a batch of these Iced Vanilla Amish Sugar Cookies will go a long way. 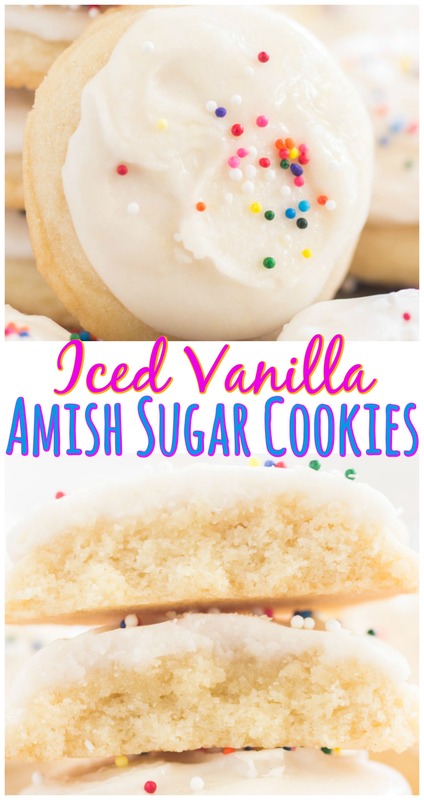 Amish Sugar Cookies are extremely versatile overall, so topping them with vanilla icing, or ANY icing, or mixing in extracts… you can do so much with Amish Sugar Cookies. 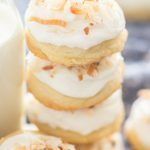 Try them once, you’ll fall in love too! Iced Vanilla Amish Sugar Cookies are a total crowd-pleaser. In my experience, they’re universally adored. 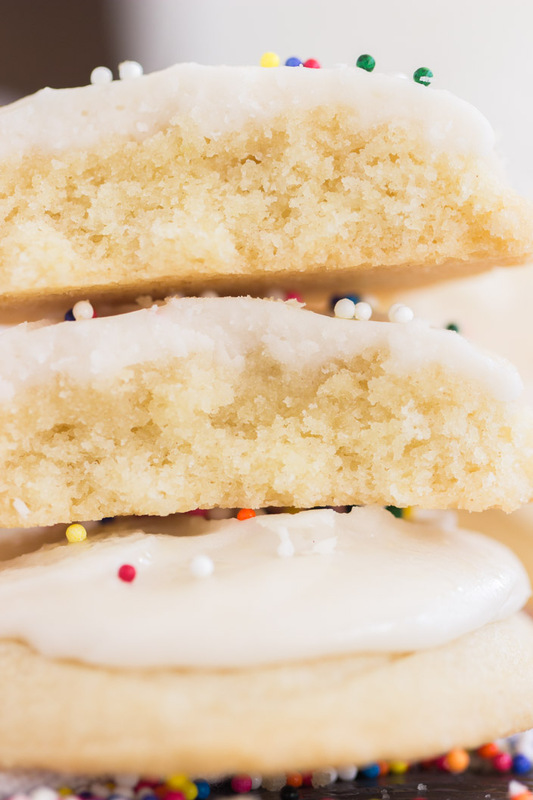 Who doesn’t love a perfect sugar cookie with a thick layer of vanilla icing? The best. 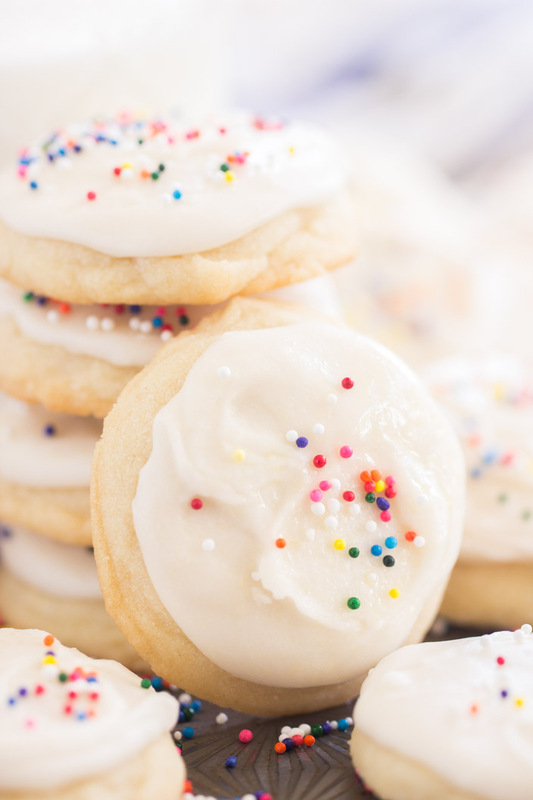 Whisk together butter, vanilla, and 1/4 cup milk until smooth. 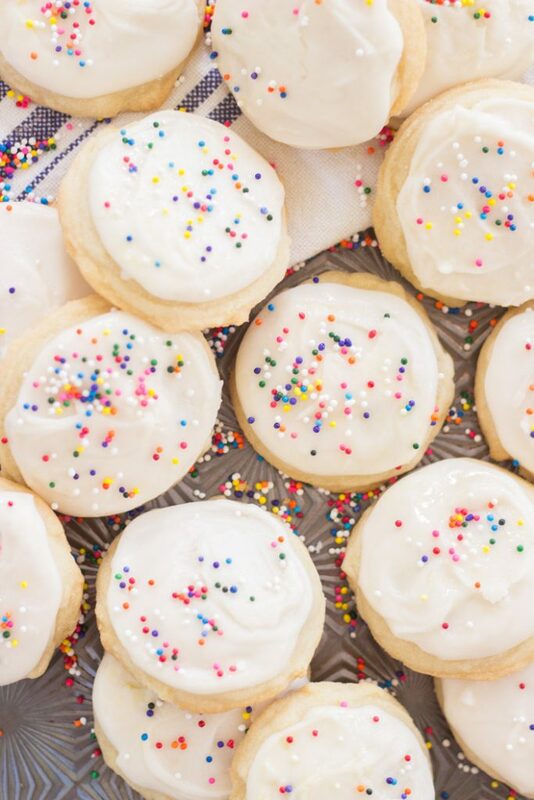 Frost cookies, decorate as desired, and allow to set. 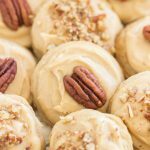 I've made these Amish Sugar Cookies into Pecan Praline Amish Sugar Cookies, Iced Maple Amish Sugar Cookies, Pumpkin Spice Latte Amish Sugar Cookies, Iced Chai-Spiced Amish Sugar Cookies, Iced Almond Cookies, Iced Lemon Amish Sugar Cookies, Iced Orange Amish Sugar Cookies, Toasted Coconut Amish Sugar Cookies, Coconut Oil Amish Sugar Cookies, and Thin Crispy Amish Sugar Cookies!